The Sikkim Hotels & Restaurants Association (SHRA) recently convened hoteliers’ meeting in Gangtok during which it was unanimously agreed to not continue conducting business with Go-MMT until the concerns were addressed and resolved. Effective January 16, 2019, hotels in the state have indefinitely closed inventory to the OTAs and have decided to not honour any new bookings that might come through. During the meeting, SHRA member hotels also decided to terminate their contracts with Go-MMT immediately. Many other hotel Associations across India have accused the said OTAs of charging exorbitant commissions, unfair accounting practices and unauthorised and further discounting of hotel prices set by hoteliers. The boycotting of the two online portals gained momentum after Ahmedabad Hotel Association had first raised the issue, which many other associations and hotels followed on later. 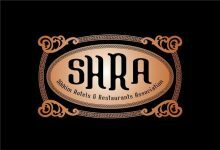 “SHRA had earlier written to OTAs with concerns raised by local hotels and even held meeting with them. The association had raised specific concerns to be addressed and resolved by the OTAs including abolishing coupon code discounting on hotels from OTAs, standardising commission at 15 per cent and removing the clause of Performance Linked Bonuses (PLBs) without the written consent of hotels, among others. But we haven’t received any reply or response from Go-MMT and so we have decided to take this step,” concluded Lamta.